I despise amalgam! 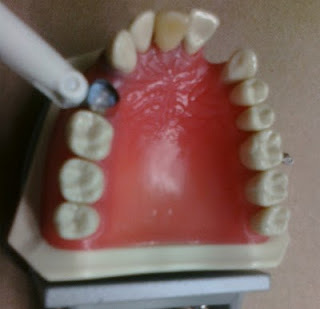 Not the procedure of actually placing the amalgam but the material itself. It just doesn't work well with me - not a team player at all. So...get the amalgam tablet, place it in the amalgamator, use amalgam carrier to place it in the prep., compress amalgam with condenser, use cleoid discoid to make anatomy. Straight forward. Except, I ended up doing this procedure all of 4 times before finally getting it right. First I had no contact, Second the amalgam was under triturated, third I had no anatomy Sighh! Anyhoooo, matrix band in place, amalgam seated. This was my FOURTH trial. And Alas! a Final Product that my professor was pleased to sign off on. Phew! 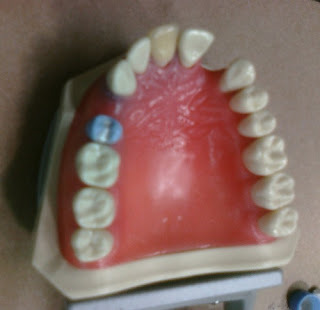 I despise amalgam! Did I already say that? I was just telling my classmates yesterday how much I hate amalgam! During our last practical I had to redo it like three times for various reasons (no contact, hypomargination, etc). We worked with composite for the first time this week and so far I like it a lot better! Yes! composite is for the 21st century dentist. Amalgam needs to take a backseat STAT lol!